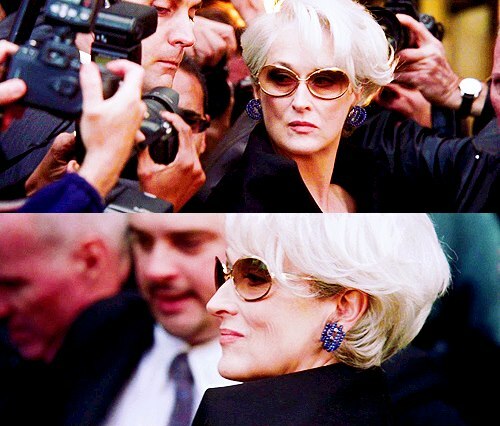 Everybody wants to be us.. . Wallpaper and background images in the The Devil Wears Prada club tagged: devil wears prada the devil wears prada. This The Devil Wears Prada fan art contains धूप का चश्मा, काला चश्मा, रंगों, काले चश्मा, and रंग. There might also be बिजनेस सूट.